Measurements - 4 1/2" x 3"
Our small Envelopes fit mini or small cards perfect! These small Envelopes measure 4 1/2" x 3" and feature a pointed flap. 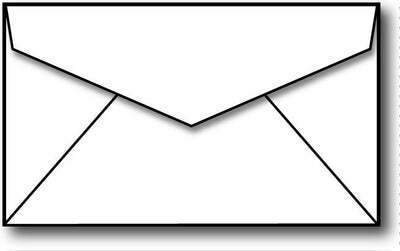 These small envelopes are Inkjet & Laser printer compatible and are made from a 24lb bond (90 gsm) paper stock. Standard moisture activated gummed flap. Note: Mini Envelopes DO NOT meet USPS regulations for mailing.